Headlining this year's festival will be two of bluegrass music's top artists - The Boxcars and Sierra Hull & Highway 111. Also appearing will be the U.S. Navy Bluegrass Band, Country Current. Bluegrass legends Eddie & Martha Adcock with Tom Gray, Dede Wyland, Randy Barrett & Mama Tried. Big Chimney and Mitch Harrell & The Virginians will also be performing. 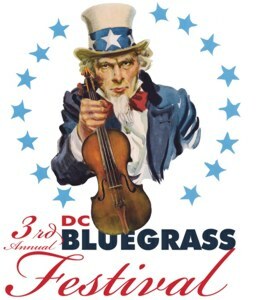 The Boxcars have been confirmed to perform at the DC Bluegrass Festival. This new group brought four awards at the 2011 IBMA awards show. 2011 Emerging Artist of the Year, 2011 Instrumental Group of the Year, 2011 Banjo Player of the Year, 2011 Mandolin Player of the Year! Young mandolinist Sierra Hull and her group have been confirmed to perform at the DC Bluegrass Festival. Sierra's band was nominated for 2011 IBMA's Emerging Artist of the Year and Sierra was also nominated for Mandolin Player of the Year. Workshops and jamming will continue to be a part of the fare at this fun-filled bluegrass festival. Learn from the best in bluegrass. Sit in on instrument and vocal workshops with members of the Boxcars, Sierra Hull and her band, and local legend Dede Wyland. Jamming is always encouraged, so bring your instruments. A secure instrument check room will be provided. Show off your chops to a new audience too. Bring your best bluegrass tunes to the festival Friday night to compete for $1,300 in prizes and the opening performance on Saturday. The Great 2012 DCBU Band Competition will offer three great prizes.